I want to set up an Epoch server with Taviana 2.0, but i don't know how it's done. I've been running an Epoch Chernarus server for a while but i think it's time for a change. I've managed to set up an epoch server with taviana 1.0 (@Tavi_DayZ_Epoch) but it's a bit complicated for the players to download that mod from random sources and it's buggy in my opinion. I've been searching thru the web and forums for a nice tutorial or something like that. I saw Epoch servers requiring the @Taviana mod so i think it's possible, my question is: how to set up a DayZ Epoch Taviana 2.0 server? start "arma2" /min "Expansion\beta\arma2oaserver.exe" -port=2315 "-config=instance_13_Tavi\config.cfg" "-cfg=instance_13_Tavi\basic.cfg" "-profiles=instance_13_Tavi" -name=instance_13_Tavi "-mod=@Taviana;@DayZ_Epoch;@DayZ_Epoch_Server;"
Where can I find files for epoch tavian 1.0.5.1? 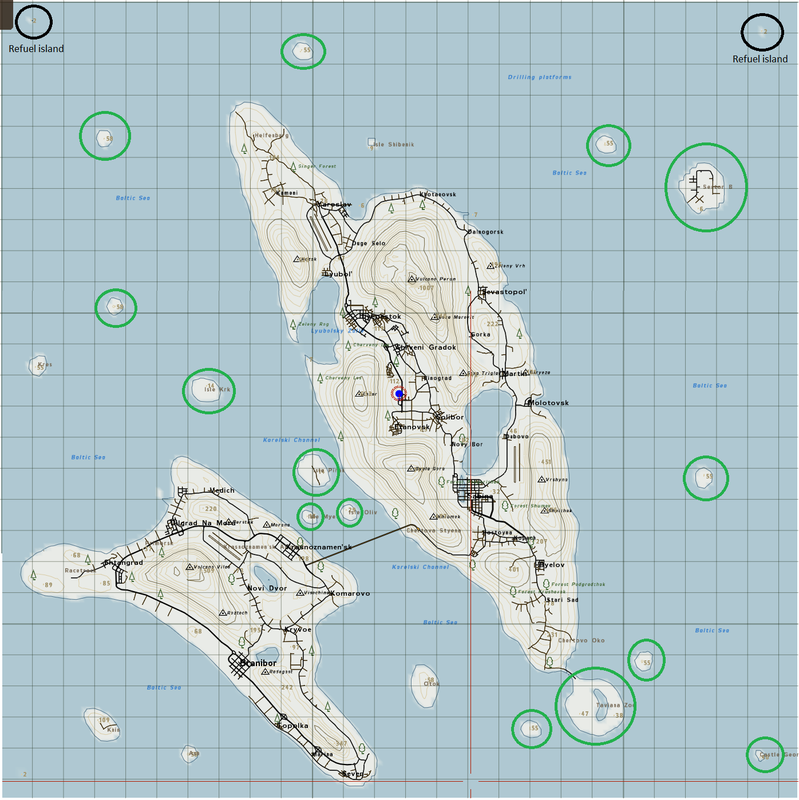 Just download the taviana map from armaholic http://www.armaholic.com/page.php?id=15085 .. epoch has missions for all the maps already. what version do u prefer? 1,2, or 3? and Tavian v3 is official released? If you just want to play on one and make sure its worth it, you can try mine in the post. Its setup to be vanilla and have a lot of the 1.8.2 updates. I've tried to replicate what has been shared in getting the Tavianna to work with Epoch. 1) I downloaded the above linked files. 3) placed the server folder (renamed to @tavi_epoch_server) into the Private_server folder. 4) Created a Tavi folder in the Config folder, copied the Config/Epoch folder and placed it in the Config/Tavi folder. 7) Copied the @START_Epoch.bat, renamed to @START_Taviana.bat. Modified all references to find the tavi config files etc, copy the (hopefully) correct .dll files to the main server folder. 8) Started the server and client. Enabled the appropriate extensions in ARMA2, tried to join the server and it froze with the WAIT FOR HOST black screen. I have added the .rpt file and bat file. There was no server log as it wasn't launched. Wondering if I need to create a new database for Taviana. So here are the files, please check them. I am using the Epoch 1.0.5.1, not sure what version of Taviana I have. Is it the wrong mission file or can I edit one of the files? I found a different @Tavi client folder and copied that one over to the Private_server folder. Launched the server and I didn't get those errors (marked in blue above) in the RPT. I haven't tried to join in because my son was using my account for a bit. So the moment the computer is available, I will try this puppy. My @START_Taviana.bat file does not contain those references and parameters. start "arma2" /min "Expansion\beta\arma2oaserver.exe" -port=2315 "-config=config\tavi\tavi.cfg" "-cfg=config\tavi\basic.cfg" "-profiles=instance_13_Tavi" -name=instance_13_Tavi "-mod=@Tavi;@DayZ_Epoch;@DayZ_Epoch_Server;"
and using the expansion/beta would be just to enable the anti-steam bypass .. otherwise you are going to use the normal exe file. Dont forget you MUST have the @tavi in your client also and have it enabled. Yes, I had both the @dayz_epoch and @tavi enabled in the ARMA2:OA expansions. There are other lines before, which copies the dll files over to the @server folder, connecting to the database, database initialization. 1) what is the /min for?? Do you actually add the "ARMA2" to the start of the line? 2) why add the "-port=2315"?? So far, we have always had port=2302. 3)regarding the -profile=instance_13_tavi, does the instance_13_tavi folder/file go into the config/tavi folder?? 5)what is the structure of the instance_*_& folder and where should it be placed? 6) regarding -profiles= are very different. in my version, -profiles=config\tavi, but in your version, the profiles points to the "instance" file. Yes, my config\tavi\tavi.cfg does point to the correct mission file dayz_epoch_13.tavi. Now, I have found two different @tavi folders. One contains a crap load of .pbo files in the addons folder (similar to the dayz/addons folder content) while the other only has about 4 pbo files within the addon folders. Do you know off-hand, which one should be used? Now in my Epoch bat file, the -profiles=atomicmulch and your bat files has -profiles=instance_13_tavi, so as above, I assume that the instance_13_tavi file/folder should be placed in the Config/tavi/user folder or just the Config/tavi folder. One of these days, I will understand this adequately. the one with all the pbos is probabluly the actual dayz taviana mod .. either run that or run epoch using the taviana map one. rhe profiles and name parameters,dont matter, it will save data to those folders ... i think. the port, whstever you want, i just copy padted,from what was posted. Ok, looks like I need to copy the arma2oaserver.exe over to the beta folder or change the parameters to get to the arma2oaserver.exe file. Fantastic. That is very helpful. Ok, so far, I can't join the server. It keep freezing at Wait for Host. I have tried both @tavi folders that I have downloaded. I do have a few more things to try.